Waterproofing in Johannesburg is a must. With unexpected heavy highveld showers and months of winter frost, damp can easily spread if there is a leak. As part of the numerous home improvement services that we at Paint Pros offer, damp proofing or roof waterproofing in Johannesburg is a very important one. Did you know we also do wooden decks? Give us a call to get a quote on wooden decking in Johannesburg, Gauteng. Why use us for your roof waterproofing in Johannesburg? 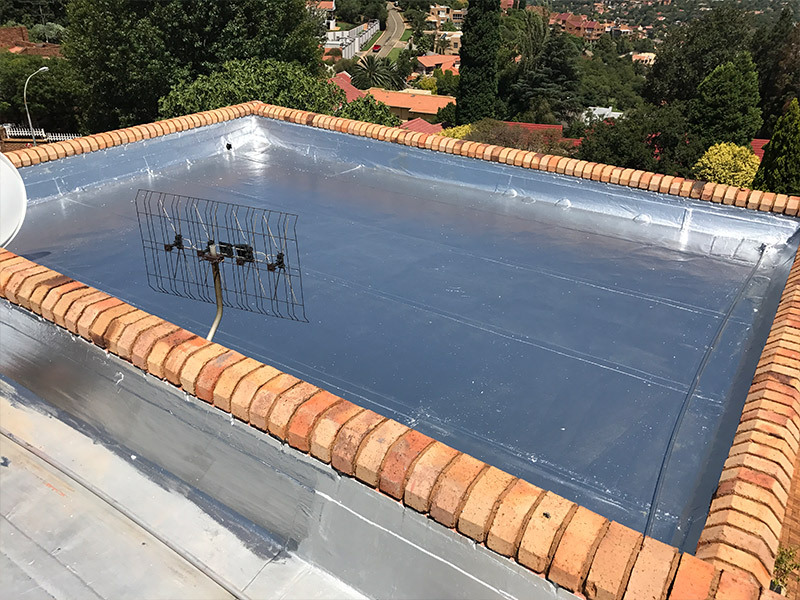 Our waterproofing service in Johannesburg includes the use of fillers, primers, repellents, sealers and membranes, either used together or separately. All of these components play an incredibly important role in the effectiveness of the waterproofing. Creating a barrier is the focus of these components when they are being used properly. Flooding is actually the one thing that causes the most damage to homes, water damage actually overtakes fire damage. Flooding, mold and water damage are all easily preventable when you use either waterproofing or damp proofing in Johannesburg. Lessen the possibility of any further damage to your home or roof, by getting roof waterproofing done by PaintPros. Lack of waterproofing can lead to serious structural failure should there be issues with damp or leaks. Many homes have existing cracks but when you add water damage as a result of no waterproofing, these cracks, especially those within the foundation, can be further aggravated to the point of structural damage. Homes and structures that are made out of wood are especially susceptible to damage by damp and water leaks. Waterproofing /damp proofing in Johannesburg can give a wooden structure that extra bit of protection that you need. Wood can easily become rotten when exposed to continuous water and the effects of damp. To prevent mold and mildew you should invest in a good quality damp and water proofing product, or consult with our expert team at Paint Pros. Mold spores are truly the last thing that you want to have to deal with. Not only is it no fun to have to clean up the spread of mold, but it is also a potential danger to those living in your home or work in your office. Prevention is better than cure, the old adage goes, and when it comes to waterproofing or damp proofing your home, its easier to prepare in advance and waterproof your home, before serious damage is caused when nature strikes. Paint Pros can assist you with your waterproofing /damp proofing needs. 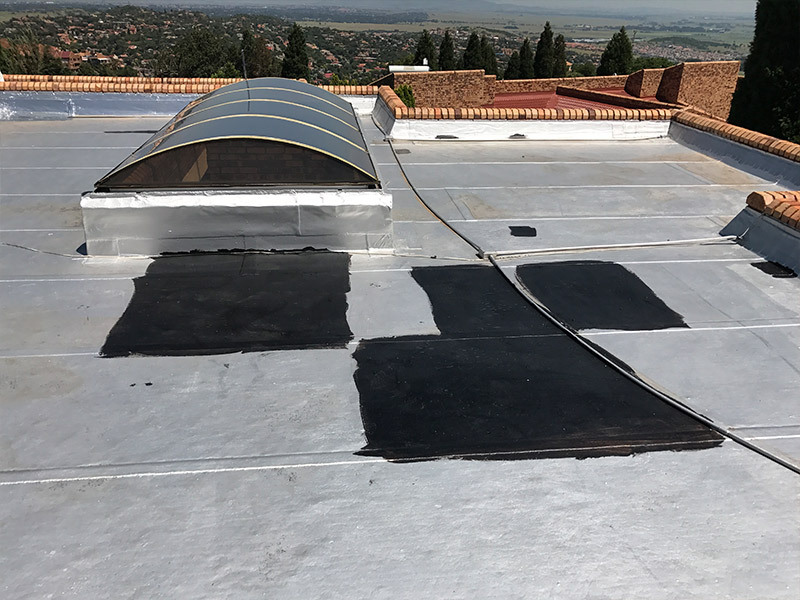 Our roof painters in Johannesburg are equipped with the skill to provide you with expert waterproofing services that are going to provide your surfaces with a quality product and finish that will last many years. Give us a call today. The Paint Pros team in Johannesburg will have your home or office building sorted in no time. With an onsite inspection, we will be able to give you a quote that is ideally suited to your budget. 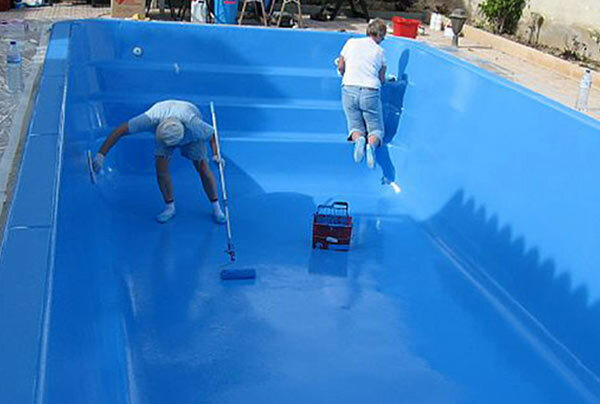 Contact Paint Pros, we are your trusted waterproofing and painting contractors in Johannesburg.